Without getting too technical, when two bodies of temperatures (hot and cold) come together, they blend until their temperatures are equal and at that point they obtain a state of thermal equilibrium. Solar screens are designed to absorb and deflect solar energy, while creating a pocket between the solar screen and the window for thermal equilibrium to occur. Therefore during the summer the solar energy that passes through the solar screen is then cooled before reaching the window. During the winter, this same process occurs in reverse by the warmth of the window heating the cold air to create thermal equilibrium. 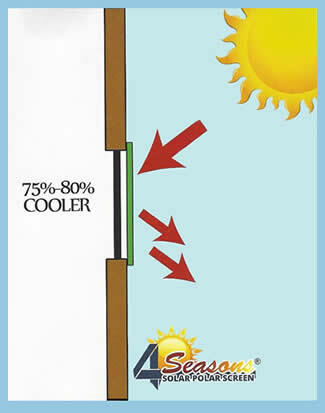 You can dramatically lower heat in your home or office building. In fact, installing solar screens can slash your energy costs by up to 30 percent. Solar screens are perfect for windows, doors and skylights. They block 80% to 90% of the sun’s harmful rays, reduce glare, and provide daytime privacy. Solar screens never directly contact the surface of the glass, stopping heat before it reaches the glass. All 4 Seasons® screen material is a woven, PVC-coated polyester yarn that is formulated to withstand solar abuse. The screen material is manufactured in a range of colors that will compliment the exterior appearance of your home or office building. Nashville, Brentwood, Franklin, Bellevue, Belle Meade, Antioch, Smyrna, Murfreesboro, Hendersonville, Gallatin, Mt. 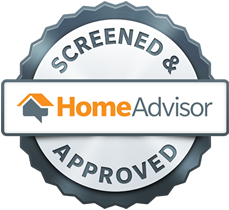 Juliet, Lebanon, Cookeville, Clarksville, Chattanooga as well as Huntsville, Alabama, Bowling Green and Hopkinsville, Kentucky and other areas within a 200 mile radius of Nashville.